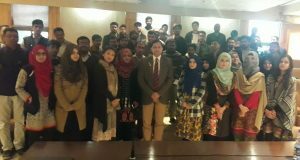 On January 8th, 2018, the DSS department hosted Khawaja Muhammad Ali, leading Cyber Security & Forensics Expert. High-tech Crimes Investigator, working currently as the chief information security officer at the Agricultural Development bank. 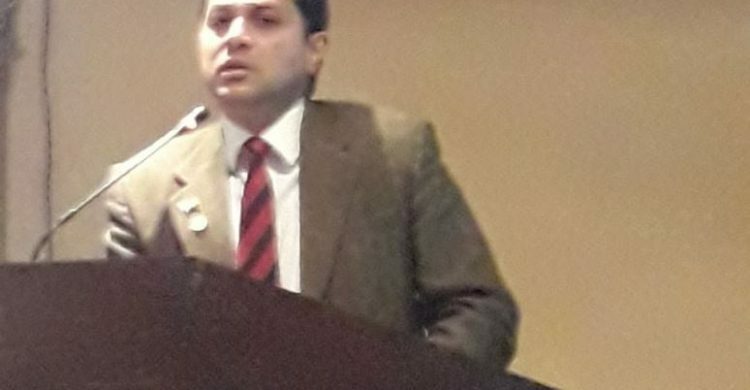 Addressing an audience comprising faculty and students, Mr Khawaja highlighted the current trends in Information technology and cyber security; the threats, problems and their impact as well as the preventive actions against cyber attacks and problems. The legislations and measures adopted at national, regional and international level as well as why there is a need to be highly sensitive to cyber security and have the necessary education and awareness to adapt to and counter this fifth wave of technological revolution and security trends. He talked in greater depth about cybercrimes, security, terrorism. The need to clearly distinguish between these categories and legislate accordingly. The fact that world is first adapting to cyber technology and security of systems, organisations, institutions and countries is becoming vulnerable to this entirely new realm of threats needs to be urgently recognised and adequate measures be taken to counter these emerging scenarios. Pakistan was one of the first countries to be conscious of the problem, but unfortunately one of the slowest in responding at state level to cyber security. Responding to the wide variety of questions and comments, the guest speaker once again highlighted the imperative need for enhancing personal security, the fast and ever evolving new kinds of threats and issues faced in the cyber realm, and the need for Pakistan to work fast on securing itself for this fifth-generation threat.